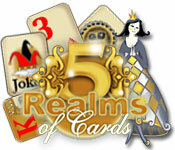 5 Realms of Cards is rated 3.3 out of 5 by 6. Rated 5 out of 5 by kristidumplin from Give it a try - it's different, but, it's fun! I was killing time tonight trying games on Big Fish that I've never tried before, and this was one of them. What a pleasant surprise this game was! You are trying to restore your kingdom to what it was before some bad stuff happened and you do that by making chains of cards in specific ways. You can do this timed or untimed, and untimed is the way I love to play this and other match-3 games, but, the timer is there if you want to use it. 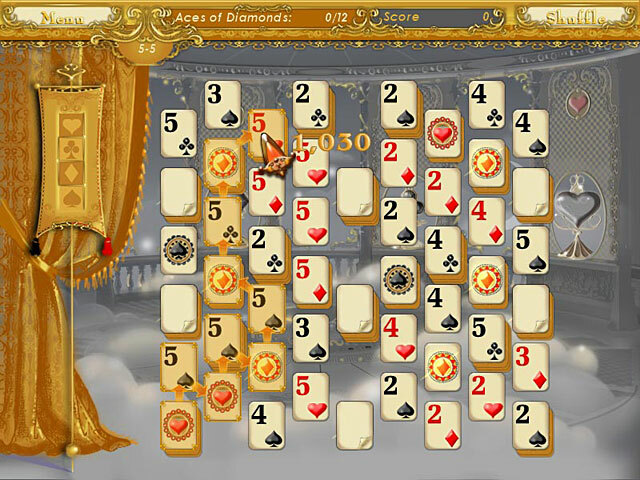 There are little mini-games, too, like the shell game - you have to indicate where an ace is after it's moved about rather quickly and, in another, you get a glance at a set of cards and, once the cards are hidden, you need to pick where the aces are. 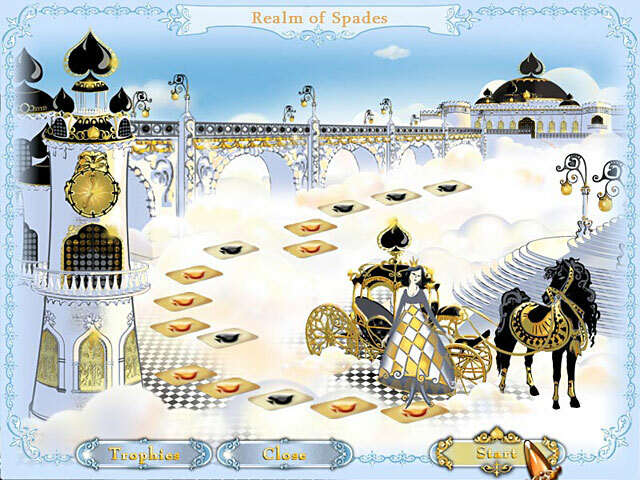 Even those little game are fun and, if you like them, they become available for play without playing the regular game. It's much more enjoyable than I thought it would be. The directions are good and sound effects are good - the music is a bit goopy so I turned it off, but it's the only part of this game I didn't care for. Give it try! It's fun! Rated 5 out of 5 by campingkiwi from You need to try the full hour before making a decision! I really enjoy this game. I have set up two different profiles and am trying to beat my scores on each level. It's a "linked" match 3 type game with simple mini games thrown in. Tho' this game seems simplistic I try to challenge myself to get long chains to increase my score besides trying to meet the goals of each level. Don't take my word - try it out yourself! It might surprise you.... The only down side: a little pixilated, not crisp for HD screens. Rated 3 out of 5 by rprisonerfan1952 from 5 realms of cards review IT WAS OKAY FOR A CARD GAME. I GOT SORT OF BORED WITH IT. NOT MY KIND OF GAME. Rated 1 out of 5 by october13 from 5Realms of Cards very boring need to jazz up a bit with sounds. its a very simple game ok for people who like very simple games. for me personally I dont reccomend this game.